It was with some trepidation that I approached the next day’s first item on the agenda, which was a 12pm beer tasting with Marcin Miller. Not because I have any aversion to either beer or Marcin Miller. I’m rather fond of both. More because I was still feeling the effects of our epic trawl through Ginza, Tokyo’s neon garden of whisky delights, the previous evening (and night and morning). The interval between Sukhinder & I’s return to Shiodome’s swish Park Hotel in the very wee small hours of the morning and my arrival for the tasting in the hotel’s lounge, just off the 25th floor lobby, had been rather too skimpy for comfort. Nevertheless, I reminded myself that this was the trip of a lifetime and determined to man up. Idly, I wondered if any of my friends would turn down the opportunity to drink beer several hundred feet above Tokyo at noon on a Saturday. I racked my brain and realised that, regardless of circumstance, they would not. Mindful of the need to keep body and soul together, I encompassed a full breakfast in the lobby and smoked a couple of restorative fags before presenting myself to Marcin shortly after the designated hour with loins girded and hatches battened. I wasn’t afraid of his beer, I welcomed it. 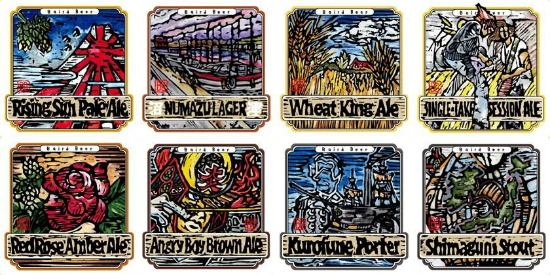 The beers in question were from the suspiciously Scottish-sounding Baird Brewing Co., which is located in the extremely Japanese-sounding Numazu, Shizuoka. Baird’s beers are made by the husband and wife team of Bryan and Sayuri Baird and are likely to be more widely available in the UK in the near future thanks to a certain Norwich-based, occasionally-moustachioed drinks importer mentioned earlier. Now, I’m not a beer nerd. I leave that to m’colleague Abbott. I shall therefore present my notes verbatim and unvarnished. Rising Sun Pale Ale 5.3% – Hoppy, with an orangey, ginger nose. Decent palate, nice bitter hops. Numazu Lager 5.4% – Quite rich, good length. Wheat King 4.3% – Yeasty nose. A little watery. Single Take Session Ale 4.7% – A bit soapy. Red Rose Amber Ale 5.8% – Quite mild, yeasty finish. Angry Boy Brown Ale 6.8% – Nice nutty nose; apples. Good hoppy palate. Kurofune Porter 6% – Very rich, toasty chocolatey. Shimaguni Stout 4.6% – A bit drying / yeasty. Bit watery. Uses American Cascade Hops. A very decent selection, of which my favourites were the Rising Sun Pale Ale, the Numazu Lager and the Angry Boy Brown Ale, the latter two of which were particularly good. Special mention to the excellent labels. Sukhinder and Dave had gone to meet up with an old chum, so with a few hours to kill before rendezvousing with the gang Marcin and I headed to another beer bar in Ginza. 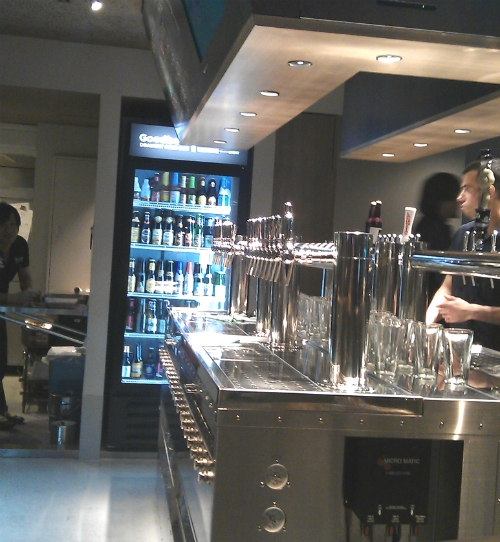 It was all brushed steel and tall stools, but had 40 different beers on tap, available in sensibly small but seriously expensive measures. 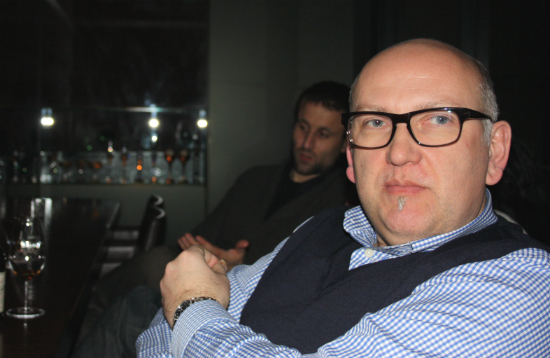 As we waited for the arrival of Nick Coldicott, an ex-pat drinks writer based in Tokyo, Marcin produced a very small sample bottle of ‘something special’. On the nose it was unmistakeably Karuizawa, with rich sherry and a faint wisp of smoke. I was allowed a tiny sip. On the palate it melted into the tastebuds with deep polished oak and well-done fruitcake. A real taste sensation. On further prodding, Marcin revealed that this was from the oldest single cask remaining in the Karuizawa stock. It had been distilled in 1960. ‘There’s not much left in the cask,’ quoth Marcin. ‘I think we’ll be doing something pretty special with it.’ Evidently he has succeeded. Nick had arrived by now, and after another beer or two we set off for the famous New York Bar at the Park Hyatt Hotel, scene of Bill Murray’s near-seduction of/by Scarlett Johansson in Lost in Translation. We were joined by David Croll and wife Noriko while we waited for Sukhinder and Dave. I had a negroni. Although delicious, this was a slightly ill-advised thing to do. Eventually, Sukhinder and Dave turned up. We left the New York Bar with some regret and went somewhere else, where we had a highball. We might have had some food at this stage. I had used the last of the little notelets I’d swiped from the Hoshinoya Onsen the previous evening. The next bit I do remember, though – Shot Bar Zoetrope. At the time I thought that this must be the most eccentric establishment we’d be visiting. Of course I was wrong, as we will shortly discover, but Zoetrope was a fantastically bonkers whisky bar nonetheless. I’d really never seen anything like it. 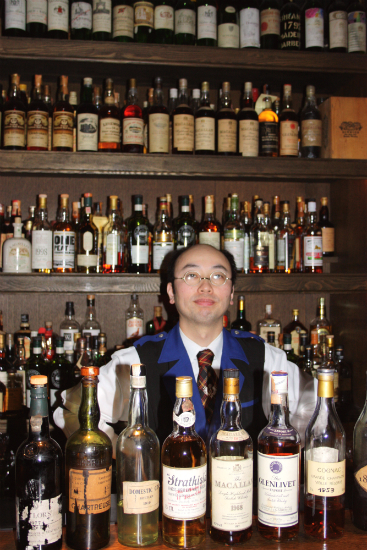 Zoetrope is quite a small bar but on entering it one is left in no doubt as to the preferences of owner Atsushi Horigami. The entire bartop and gantry were fully bedecked with a quite ludicrous selection of Japanese whisky bottles, only a few of which I recognised. At the far end of the bar, a projector beamed classic silent films onto the back wall. The remaining surfaces were plastered with film posters and memorabilia. When we arrived, the rare Fatty Arbuckle / Buster Keaton classic ‘Moonshine’ was showing. The music playing to accompany this cheerful romp was neither bluegrass guitar nor upbeat ragtime plinkyplonk, however. I couldn’t swear to it, as my metal days are decades behind me, but it sounded quite like how I remember Slayer. The films are the only silent thing at Zoetrope. It was an assault on the senses, but of the best kind. We squeezed ourselves around a couple of small tables. Lots of bottles and glasses of whisky appeared. 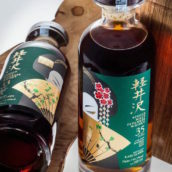 I wasn’t going to take notes, but some of the stuff we were drinking was so unusual for a western fan of Japanese whisky to encounter that I wanted to remember it. I pilfered a couple of napkins and made some peremptory notes. Near the start we had a Nikka Grand Age blend that I rather liked, very soft and silky mediumweight palate with notes of plums, oak and oily nuttiness. 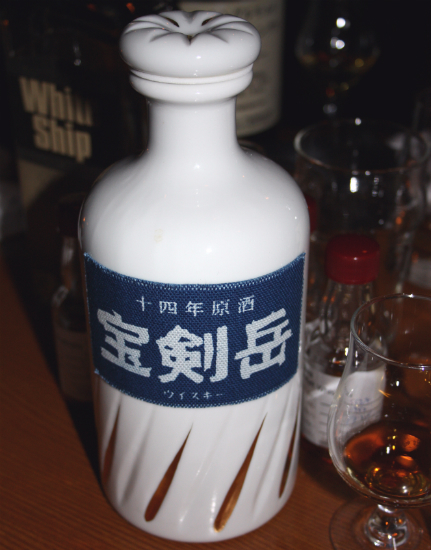 We followed that with a rather curious bottle of Hanyu 14 year old labelled as Chichibu (!). I couldn’t be certain, but I suspect that this was a Golden Horse Hanyu released during the distillery’s active period (ie pre-2000) before Chichibu distillery was built. The locations of the Hanyu and Chichibu distilleries are quite close together, of course. Or perhaps it’s a Bruichladdich / Port Charlotte kind of thing? In any event, it was very good: fruity, rich and deep with a curiously apricotty palate. 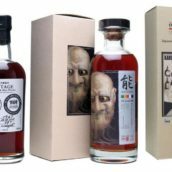 We tried a couple more Hanyus, one a 2000 vintage bottled in 2009 which had a fairly nondescript nose with some candied fruit and a very sweet plum and raisin palate; and another 2000 vintage cask #349 bottled at 60.3% for Whisky Live Tokyo 2012 after being finished in ‘chibidaru’ quarter casks. This one had an interesting nose: I found rice crackers, plum jam, herby notes and a hint of smoke. On the palate, the first thing I got was pecan pie, followed by rich syrupy notes and then the herbs. This was an excellent dram, even at full strength. Encouraged, we moved on to the Hanyu 2000 bottled in 2011 for Whisky Talk. This was another quarter cask finish, and provided an interesting contrast to the previous version. Again I found the nose quite curious and a bit flat but the palate was a revelation – my napkin notes just say ‘massive, massive fruit’. Highly recommended. We moved on to try some Mars malts – first up was a 1983 vintage 14 year old bottled at around 58%. I found the nose quite unusual with the same herby character I’d found in some of the Hanyus alongside some early tropical fruit, but this time accompanied by what I can only describe as a bandagey sweetness. I really liked it nonetheless. We were then privileged to try a pair of Mars Malt new makes from 2011, both heavily peated and lightly peated. They were both immensely characterful and hugely promising. The heavily peated was very good indeed but I particularly enjoyed the lightly peated version, which was outstandingly fruity, with really pure barley notes and some very exciting leafy, summer fruit aromas and flavours. With the potential of the single malts to come from Shinshu, we tried a 20 year old single cask produced before the distillery went on hiatus in 1992. It came in a very pretty small white ceramic bottle with a blue fabric label and had a nose of rich honey and maple syrup, with anutty note and hints of precious woods. The palate was quite big with a varnishy edge, becoming a tad hot and drying on the finish. A real curio that we tried was the Kirin-Seagram Orchid – this was a blend that had been sherry finished, and it was so soft and sherry-fruity that we wondered if it might not have had some sherry tipped into the vat. While we were at Zoetrope we also got to try a couple of Karuizawas that Marcin had brought. There was cask #5381 from 1972, which is matured in a non-specific Japanese wine cask (perhaps one of Karuizawa’s own wines?). Sukhinder and I liked this one so much that Sukhinder decided then and there to buy it. I found very sweet hot-buttered fruit toast dusted with cinnamon and a grapiness on the nose, while the palate was a taste sensation with the fruit toast plus varnish, polished oak, some gluey aromas and then delicious peanut brittle and nougat notes. When we had samples of this cask sent over for our Japanese tasting at TWE Vinopolis in December last year it completely stole the show. People were really freaking out about it. On that occasion I found more sweet fruit, plus grapefruit, some smoke, incense, sandalwood, and sherry-like aromas and flavours and something resembling the smell of playdoh. A magnificent dram and one of the best Karuizawas we tasted on the whole trip. Sukhinder likes it so much that he’s hanging on to it – when we do eventually bottle it, rest assured that it’ll be something very special. 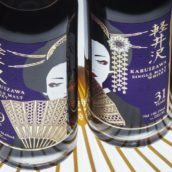 The other Karuizawa was even older, and a very different character. Apart from the 1960 mentioned earlier this was the oldest Karuizawa I’d tried, being distilled in 1963. It may be the second oldest Karuizawa in existence after that 1960. It was wonderful as well, with pure honeyed fruit on the nose – raisin, apricot, dusty tinned mangos on flapjacks. The palate was a little hot at full strength but with beautiful fruit – had we had enough to play with I’d have gone for a drop of water but understandably there was only a small glass for us to share. I found the same fruits as the nose, plus tinned peaches, green plum, kumquat and what I think of as the playdoh note that I was to find on the 1972 nearly nine months later at Vinopolis. Another marvellous cask of ancient Karuizawa, and I wouldn’t be at all surprised if it was the same one I heard Marcin was letting people try at the launch of the 1960 at Tokyo Bar Show a month or two back, which is scheduled for release later this year, presumably shortly after it’s passed its 50th birthday. I could have stayed at Zoetrope all night but we needed some food and there were still some bars we had to go to. My napkins had run out, so I have no more notes, but the next couple of venues were absolutely unforgettable. We travelled with Nick at our helm to the splendid squalor of backstreet Shinjuku, where we ventured down a narrow street crammed on both sides with tiny yakitori eating houses. This street is called Omiode-Yokocho, or Memory Lane. It is also known colloquially as Piss Alley, thanks to the days when there were no facilities in the area. Nowadays there’s a very long pissoir branching off it that I was not tempted to try. Memory Lane was loud and bustling, full of people, noise and smells, most of which seemed pretty good. The only problem seemed to be that all the yakitori bars were full. We walked up and down trying to find somewhere that would seat all five of us (David & Noriko had wisely said farewell as we left Zoetrope). Eventually, Nick found a place that had an upstairs that would seat us. We squeezed our way through a staircase so narrow we had to ascend it sideways and found ourselves in a very plain-looking room. Ravenous, we ordered beers and food. The beers arrived. They were good. I hadn’t seen an egg that colour before after it had been cooked. I chickened out of trying it. 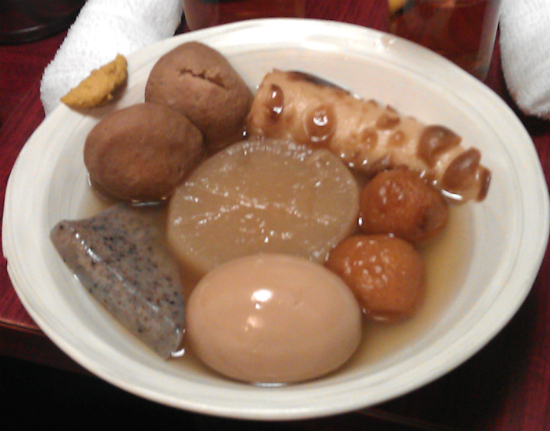 The grey agar jelly with the black bits in it was extremely chewy and tasted of papier mache. In desperation I tried the tentacle and discovered that it was just not my thing. An pat of brown wasabi was well-meaning but unable to disguise that this was all some way from what we had been hoping for. We finished our beers and got the hell out of there, still starving. Sukhinder was upset. To cheer us up, Nick took us to Albatross, a legendary bohemian bar just down the street. This was more like it. We were still hungry but now we had highballs, so things were looking up. Albatross was unlike any bar I’d been to before. Sure, it only sat five people downstairs, but I was used to that. The décor downstairs was pure boho, with throws and curious artworks on the dark red walls, stuffed animals, a chandelier taking up most of the room, beads, ornate rococo mirrors. You get the idea. There were no free seats at the bar, of course, so we were ushered upstairs. Mindful of our previous dashed hopes we proceeded with misgivings. There was indeed an open hatch in the floor. However, this was not merely an eccentricity. It was functional. Lazy customers simply leaned over and shouted down their orders to the barstaff below. 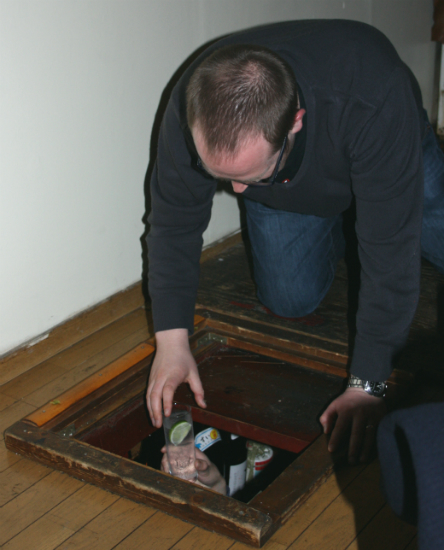 The drinks would then be made and passed up through the hatch. We tried doing this. It worked. We discussed how this marvellous system would be unlikely to catch on in the UK due to our fussy health and safety laws. Within twenty minutes of these words being spoken a drunken English insurance salesman staggered down the stairs from the floor above and fell into the hole. Thankfully it was only one leg and his girth prevented him making it the whole way through. He was extracted with only his dignity injured. I could have watched it all night. However, though the drinks at Albatross were excellent, the whisky selection was rather limited. 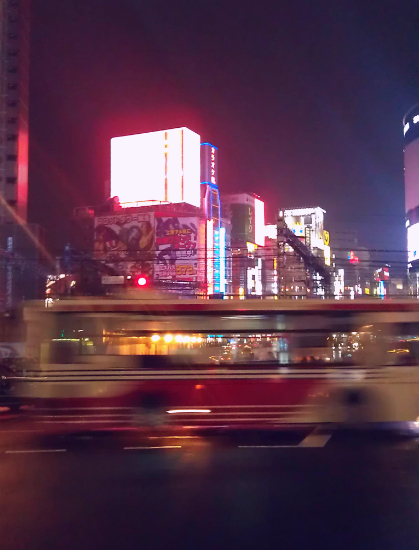 With some regret we headed back out into the Shinjuku night. After a fruitless mission to a bar that turned out to be closed we left Shinjuku and travelled to Ebisu in Shibuya to visit Bar Odin, a truly magical bar run by another of Sukhinder’s mates, Takahiko Kikuchi. Bar Odin is a quiet basement bar, giving the impression of an ancient library of fine spirits, because that’s exactly what it is. Pre-Prohibition bourbons rubbed shoulders with 1920s Calvados and 18th century Madeira. 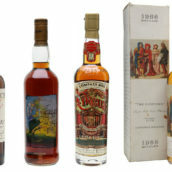 We made our way through some truly fabulous stuff including an 19th century pre-phylloxera Cognac, some Chartreuse Tarragona, a 1919 ‘Domestic Gin’, and a fabulous 1950s Highland Park in a dumpy green bottle. It was now rather late. Our flight was early in the morning, meaning that we would have to arrive at the airport for about 6.30am. We debated the merits of returning to the hotel and found them wanting. It was time for one last whisky bar, which was titled, with pleasing nominative determinism, ‘Epilogue’. Tucked away in a Shibuya backstreet, Epilogue was relatively large with seats for perhaps 15 or 20 people. The decor was more modern and the soundtrack was quiet jazz. 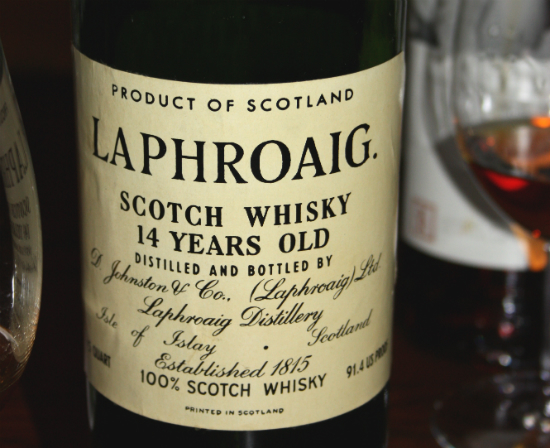 Amongst other gems on their delightfully long wooden backbar we found a super-rare Laphroaig 14yo, an SMWS 45.1 (Dallas Dhu 1975) and, for our final drams of the night, a trio of fabulous Ardbegs: A Douglas Laing Platinum Selection 1972 29yo; the OB 1975 sherry cask #4703 for Italy’s V.E.L.I.E.R. ; and another Douglas Laing Platinum, this time a 1974 (my own vintage), bottled in 2001 at 27 years old. Make no mistake, we’re not iron-livered Supermen; we were pretty tired by now. But there’s nothing like a trio of such rare magnificence to give one the energy to make it over the line. The sun was thinking about rising as we made our weary way back to hotel at some time after five that morning. We packed our stuff and grabbed a half hour snooze in the lobby before the taxis arrived. David and Noriko very kindly turned up at the hotel to bid us adieu. Streaks of pale daylight were creeping up the skirts of the sky as we arrived at Narita for our plane back to Blighty. Trying to summon my memories into any semblance of order was difficult, partly due to sleep deprivation and much whisky, but also simply because we’d squeezed so much into this truly unforgettable trip. It’s been a pleasure reconstructing our time in Japan, and I’ve relived many wonderful moments while telling the tale. Sorry it’s been so long, but even while recalling the trip I didn’t want it to end again. Once more, my profound thanks to Marcin Miller and David Croll from Number One Drinks for organising this trip of a lifetime; to David’s wife Noriko Kakuda of Whisk-E Ltd for her help and hospitality; to Ichiro Akuto and his staff for guarding the last stocks of Karuizawa and for their patience and generosity while showing us around Chichibu and the family sake brewery; to the remaining staff at Karuizawa for their graciousness and dignity; to Dave Broom for helping us with the Karuizawa tasting and for his witty company throughout the trip; to Nick Coldicott for showing us the delights, and otherwise, of Shinjuku; and to Toru Suzuki, Hideo Yamaoka, Makoto Soga, Kazunari Maguchi, Masaki Murasawa, Kishi Hisashi, Atsushi Horigami, Hidetsugo Ueno, Daisuke Ito, Takahiko Kikuchi and all the many bar owners, bartenders and patrons we encountered – old friends and new – in Tokyo and Karuizawa. And finally, my heartfelt thanks to Sukhinder for picking up several pretty severe bar tabs. After such long day, I am impressed that you still managed to record the impressions and the details of all the whiskies !